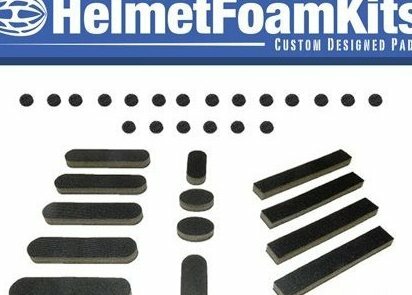 The most complete Helmet pad replacement set on the market. Includes 13 pieces of different shaped pads and 20 adhesive velcro dots. sticks to the velcro in your helmet and we include 20 additional self adhesive dots. Made in the USA, 5/16" thick, thicker than the factory pads. Please see Second picture for size information, works in all helmets.